San Antonio—FunnelAI, a startup that aims to measure a consumer’s intent to purchase something, announced it has raised a $1.5 million seed funding round led by San Antonio investor Active Capital. FunnelAI plans to use the funds to make new hires and to add to the industry verticals in which its software is used. Currently, the San Antonio company sells its artificial intelligence software to businesses in the auto industry, such as car dealerships, which use it to analyze posts in online forums and social media, searching for indications of consumers who might want to make a vehicle purchase. The business plans to expand to real estate in the fourth quarter of this year and is also considering curating a service for the retail sector, said co-founder and CEO Sri Kamma. It’s also considering international markets, an area in which it can get help from True, a London-based European investment firm that joined Active Capital in the seed round. True hopes to make introductions for FunnelAI that will help it expand into retail and consumer sectors, according to Paul Cocker, co-founder of the investment firm. San Antonio-based Geekdom Fund also participated in the seed round. 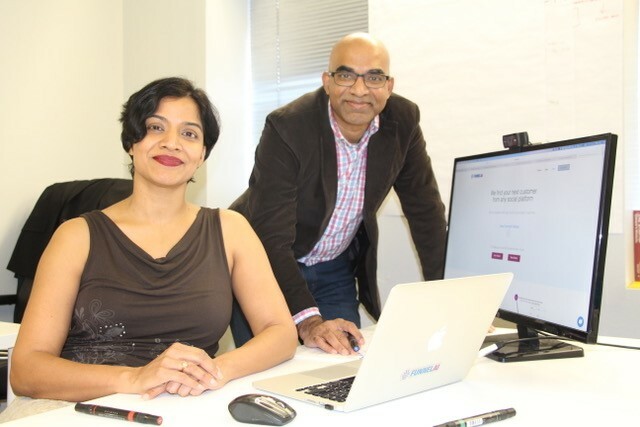 FunnelAI was founded in 2017 by siblings Sri Kamma and Suja Kamma, who is the company’s chief strategy officer. The startup’s software is based on statistical modeling and natural language processing that builds a dictionary based on the positioning of words in a sentence, in hopes of training the software to recognize when a question or statement might indicate a person might be a good target for buying a new car (rather than someone who is just posting about car purchases, like a competing dealership, for example). The company’s engineers are and have been training its software by labeling the online posts it correctly flags, like “My car needs too many repairs, time to get a new one,” as a match, and labeling incorrect flags, such as “Are you looking to buy a new car? Come by our dealership,” as a miss. In November, FunnelAI reached $1.2 million in annual recurring revenue, Kamma told Xconomy at the time. The company had previously raised a $375,000 round of funding from Geekdom Fund, Active Capital, and a few angel investors. It also received $125,000 by participating in the RealCo accelerator program in San Antonio. Separately, the Bexar County Commissioners Court voted March 26 to give FunnelAI a $31,000 grant for creating as many as 31 new jobs in San Antonio, according to the San Antonio Economic Development Foundation.